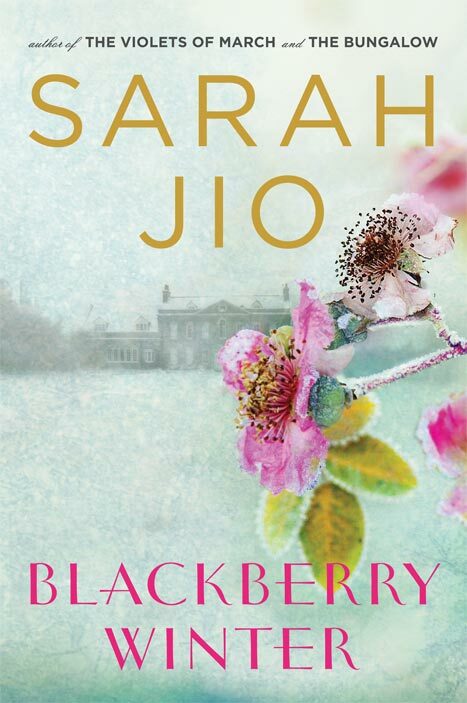 The February Peanut Butter Fingers Book Club selection was Blackberry Winter by Sarah Jio. I literally tore through this book with astounding speed. I would pick up my Kindle to read before going to bed and read a quarter of the book. One of the issues with reading on Kindle is, I have no idea how big this book is in real life (according to Amazon its 320 pages… I’m shocked it felt so much shorter). I’m super excited to finally be getting a post up BEFORE the PBF deadline. Hopefully I can figure out how to link up with her before Tuesday… wish me luck! First a brief synopsis: “Blackberry winter” is actually a meteorological term for a late season cold snap or storm – I’ve learned something new already! The book starts in Depression Era Seattle in May 1933. A single mother, Vera Ray, is forced to leave her son, Daniel, at home while she goes to work the night shift as a maid at a fancy hotel. A freak snow storm hits and when she returns home, her son has vanished. Jump ahead to Seattle in May 2011 and behold another freak snow storm hits on the exact same day. A reporter, Claire, is assigned to write a story about these two snow storms for her newspaper, when she discovers the unsolved abduction of Daniel Ray. Claire and her husband have recently suffered their own loss after an accident caused her to lose a baby. The two storys continue to unfold as you race to solve the mystery of Daniel Ray. I won’t give you any spoilers… but wow, it’s a pretty awesome ending. My general reaction: I really enjoyed this book. It was a fast, easy read and I definitely felt myself emotionally connecting with the characters. It made me want to read more books set during the Depression. Not that I expect those to be exciting “light” reading, but I definitely don’t read much about that time period so I thought it might be time to expand my horizons. I was a little disappointed that it was another “mystery” type book, considering last month’s book, The Secret Keeper, was a similar idea of jumping between past and present to solve a mystery. Makes for a VERY entertaining read, but I’m hoping next month’s book has a little more variety. How did this book make me feel? Hmm, well that is an interesting question. I guess it made me think a lot about love, relationships, and marriage (marriage is a pretty central theme in my life right now). Clearly Claire and Ethan are having major marital issues because they can’t seem to see the other person’s perspective. But it’s the Charles and Vera story line that intrigued me the most. I just felt like Vera was so hasty to run away, thinking she would ruin Charles’ life if she stayed. She gave him no credit, no chance to do the right thing, which is all he had ever done by her. I know she was supposedly doing the “selfless thing” but did she do the right thing by him?? It didn’t seem like it in the end. Did she really love him? That kind of suggested to me that, deep down, she didn’t actually trust him. She didn’t trust in their love and their ability to withstand obstacles. It makes me think about my own relationship and my own impending marriage. I remember having a momentary doubt that perhaps we hadn’t been together long enough to know that we were right for marriage. But then I realized that I trusted Mike and our relationship so completely, that I had no doubt we could handle whatever life had to throw at us. Love isn’t always about knowing or being certain. Sometimes, it’s about having faith and jumping in with both feet. On a slightly different note, I will start with a confession. The thought of having children terrifies me. I know that I want them, but I kind of want to have a panic attack when I think about actually having one. The Claire story line with her running while pregnant, getting hit by a car, and losing the baby hit WAY too close to home for me. I don’t have a lot of concrete feelings to articulate, but it just heightened my worry that if and when I ever am pregnant I will be so terrified I won’t be able to live my normal life. Any other lady runners out there have this same reaction?? – If you read Blackberry Winter, what did you think? How did this book make you feel? Thanks! I’m going to download this for our trip tomorrow unless you have something else low key you recommend. Spoke with your pops today said they were en route for wedding venue shopping. Fun!!! !